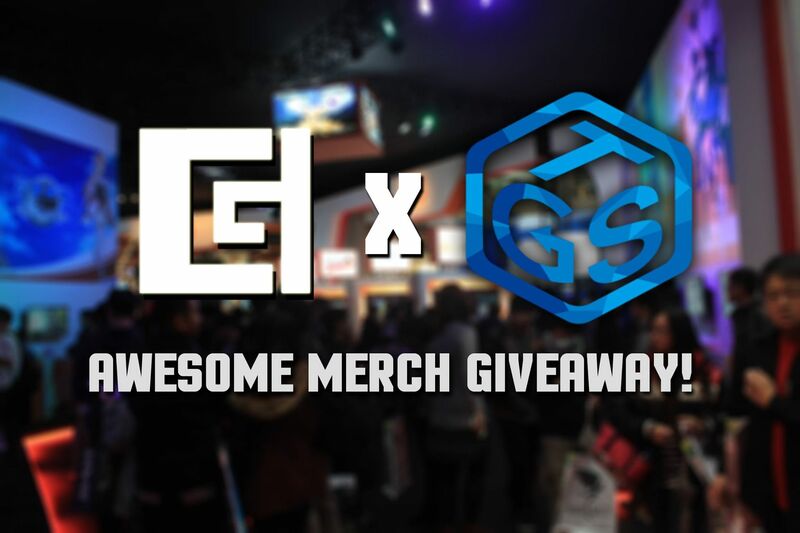 The Geek Collective celebrates its coverage of the 2018 Taipei Game Show with an Awesome Merch Giveaway! Enjoy Taipei Game Show and Win Awesome Merch! In just a couple of days, the 2018 Taipei Game Show is about to begin. Heralded as one of the biggest video game events in Asia, the Taipei Game Show is five (5) days of gaming goodness! The whole event is a HUGE show of Triple A and Indie Games. The Indie Game Fiesta is the largest indie game festival out there as it features 25 countries and 180 Indie Teams for console, PC, mobile, VR, and Boardgames. For the Taipei Game Show proper, huge Triple A names will be present like PlayStation, Bandai Namco Entertainment, Ubisoft, SEGA Games, Gravity, and more! There will also be the Asia Pacific Game Summit, where various speakers will hold talks on topics regarding the fields of eSports, Indie Games, AR/VR, R&D, and Marketing. Recognizing the significance and massiveness of Taipei Game Show, the Geek Collective will be covering the event to bring all sorts of news and content to the Philippine Geek Community as well as to the rest of their audiences globally. The Geek Collective is a group of various media entities in the Philippines that focus on geek culture who banded together with the intent of promoting, engaging, and growing local geek communities and interests. To achieve this, each member of the Geek Collective seeks to report on relevant geek news that happen both locally and globally as well as to make creative content that the communities will enjoy. The five (5) current members of the Geek Collective are UnGeek, Will Work 4 Games, Twenty8Two, Geekend Gladiators, and Too Much Gaming with each outfit lending their own expertise towards the group. This joining of efforts, sharing of best practices, networking between contacts, and creative collaboration aims to elevate Philippine geek and gaming journalism to new heights. Be sure to watch out for coverage of the 2018 Taipei Game Show from each member of the Geek Collective! Like the Facebook Pages of the Geek Collective Partners. Click on the links below to go to their FB Pages. LIKE the Promo Announcement of each of the GC Partners. Be sure to TAG A FRIEND and COMMENT on each post on what you’d like to see or what excites you about the Taipei Game Show 2018! (ex. “Me and my friend @HidimoKomija are super excited to hear about any special announcements they have on Dragon Ball FighterZ”). Click on the links below to go to their PROMO ANNOUNCEMENT POSTS ON FACEBOOK. SHARE their PROMO ARTICLE and invite your friends to join. Use the Hashtag #TGCTaipeiGameShow. Click on the links below to go to their PROMO ARTICLE. Remember to set your shared post to PUBLIC for checking. On February 5, each partner will choose a winner from each of the ones who LIKED, COMMENTED, and SHARED their post. One winner will be chosen per partner for a total of FIVE (5) WINNERS. Note that you can only win ONCE so if your name is drawn by one partner, you will immediately be disqualified from the other partner’s raffle draws. BONUS DRAW. There will be a total of TWO (2) BONUS Draw winners for all those who joined. If you’ve won from any previous draw, you may still be eligible to join the bonus draw. However, you may only win a BONUS DRAW Prize once. DEADLINE FOR ENTRIES IS 11:59PM JANUARY 30, 2018. DEADLINE EXTENDED. FINAL ENTRIES TO BE SUBMITTED ON OR BEFORE 11:59PM FEBRUARY 12, 2018. Employees of UnGeek, Will Work 4 Games, Twenty8Two, Geekend Gladiators, and Too Much Gaming and their relatives of up to first degree of consanguinity are disqualified from joining the contest. In the event that the prize is not claimed within 30 days after announcement of winners and/or of initial contact, UnGeek, Will Work 4 Games, Twenty8Two, Geekend Gladiators, and Too Much Gaming will dispose of the said prize in any manner they deem fit. Don’t miss out on all the awesome news and content from Taipei Game Show 2018! And be sure to join in on our special giveaway for all the cool TGS Swag! Previous articleTake your Honkai Impact 3 campaign to a new level with our 5 best Valkyries! Next articleOverwatch League Week 2 Recap! Shock and Fusion bring their A-game with HYPE matches!